Providing you the best range of non woven fabric bags with effective & timely delivery. Nonwoven bags are an ideal alternative of polythene bags. They are environmentally friendly in many aspects and have thus seen wide acceptance throughout the world. 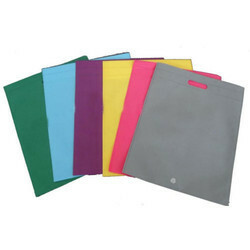 We manufacture premium quality bags made from pure virgin nonwoven fabric.